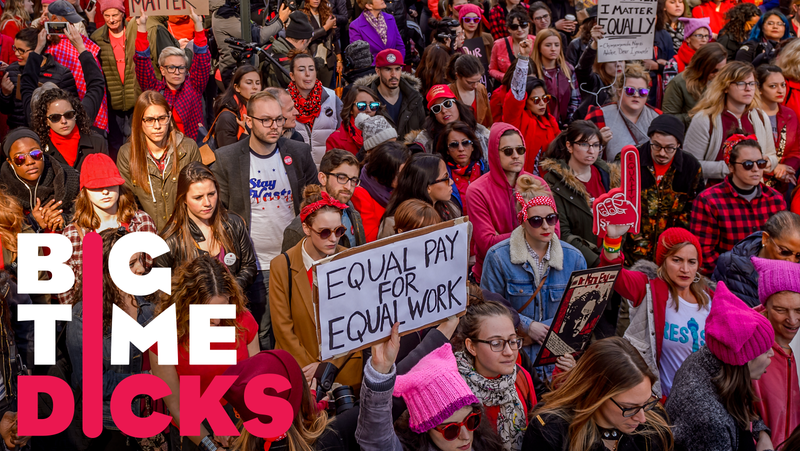 But when it came time for the strike, it too was criticized as something accessible for only privileged feminists—those with job responsibilities that bend with their schedules, with salaried security that extends beyond political action. But this is an odd, new development; traditionally, strikes are not the domain of the cloistered, demonstration hobbyist. In this episode of the podcast Big Time Dicks, Prachi Gupta and I explore the women of color- and immigrant-dominated history of the protest; how groups of black laundry workers in Atlanta and garment workers in New York have decided to risk their wellbeing to protest horribly unsafe working conditions and pitiful wages, eventually leading to the creation of International Women’s Day, which, on its own, has been a powerful vehicle for organizing and protest. In the episode, we also hear from Ai-jen Poo, director of the National Domestic Workers Alliance, about the vital, often politically invisible domestic workers that power our society. Listen to the episode to for more on why immigrants and people of color are on the front lines of social change, and why domestic workers have been cut out of federal labor regulations.